I was once asked “What do you think about Fun-Tastic Promotions?” It took me less than a minute to answer. The hard part was where do I begin? Fun-Tastic Promotions is a family business that cares about their client’s in providing the very best in event entertainment resources. But beyond Fun and being a fun company to work with. They are professional, dependable, and responsive to each and every need a client might have. My non-profit organization created a relationship with Fun-Tastic Promotions over 20 years ago and the relationship is as strong as ever. Their attention to details and the overall professional of their staff and how they conduct themselves is what we truly appreciate. 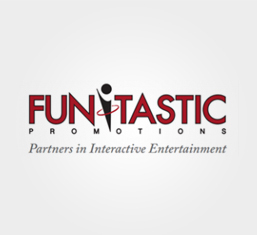 Fun-Tastic Promotions has been an intricate part of our events and a main reason why our program is so successful.